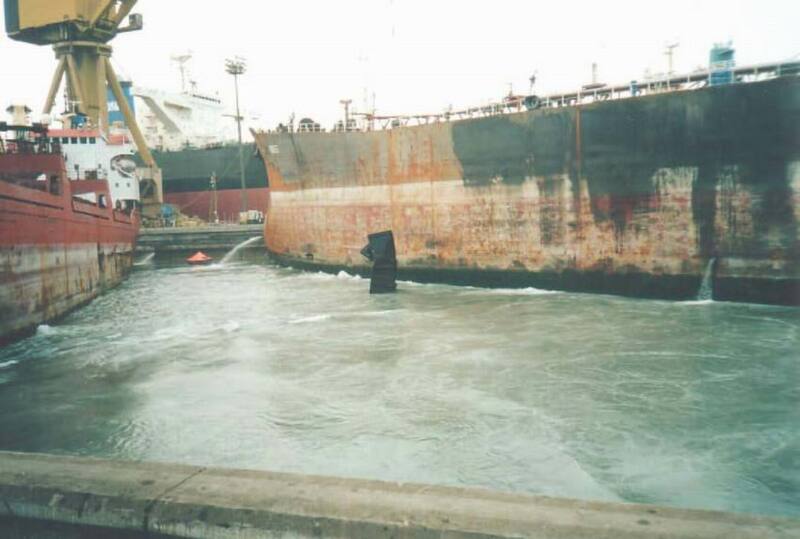 On March 27, 2002, at 9:30 a.m. (0530 GMT) the # 2 dry-dock of the Dubai Drydocks yard suffered a sudden and uncontrolled flooding. 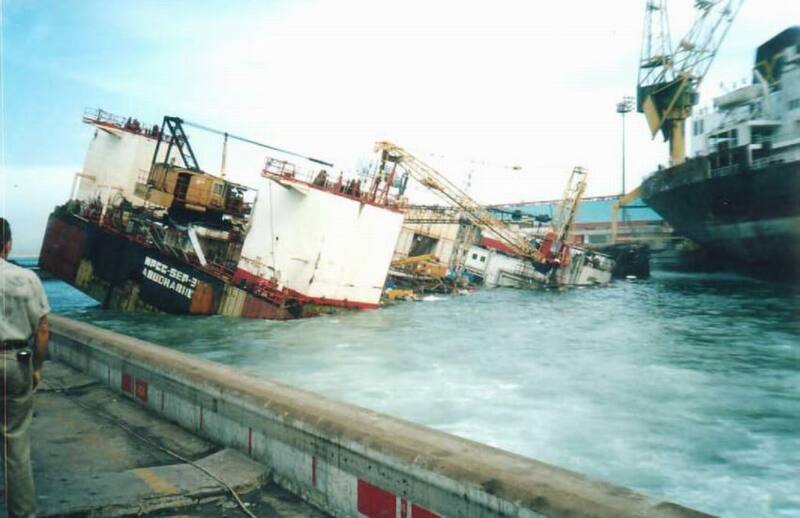 Two section of the caisson holding the sea back, failed, flooding the dock. 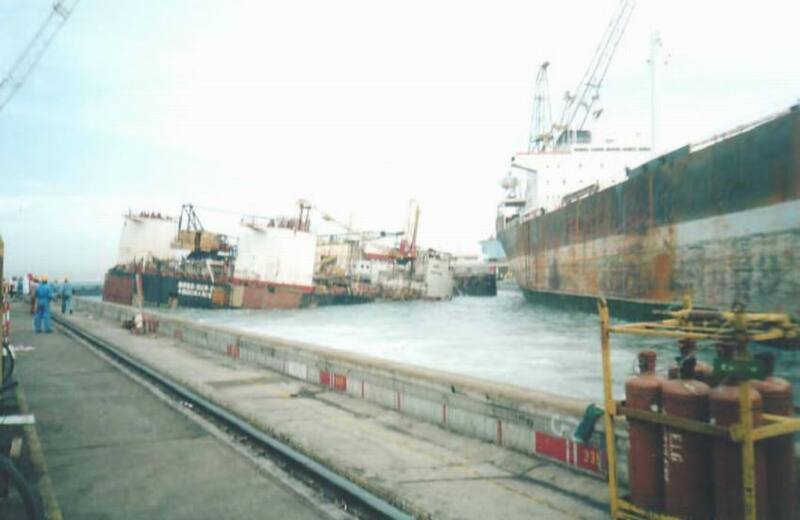 At the time, the dock had five vessels - a tanker, a cargo ship, a rig and two barges - and 241 workers in it. 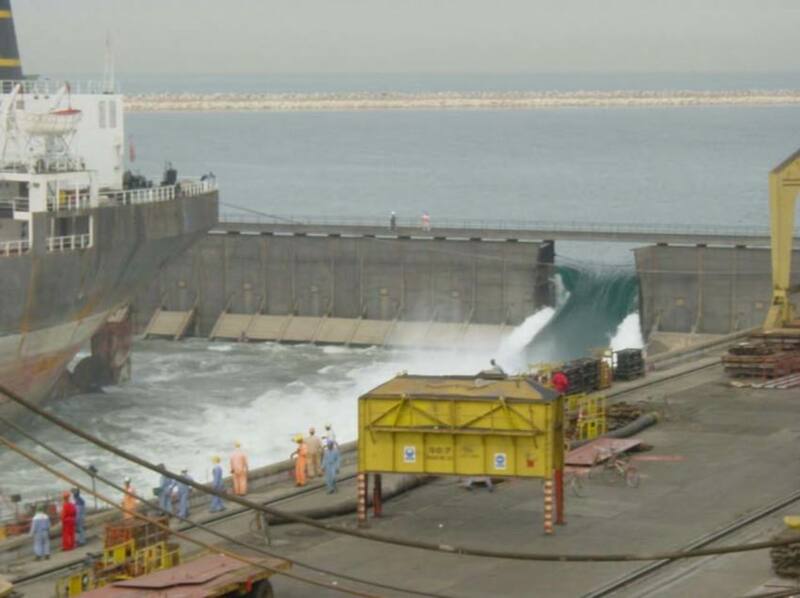 A 12-metre-high " tidal wave" crashed into the dry dock, which took about one hours to completely fill. 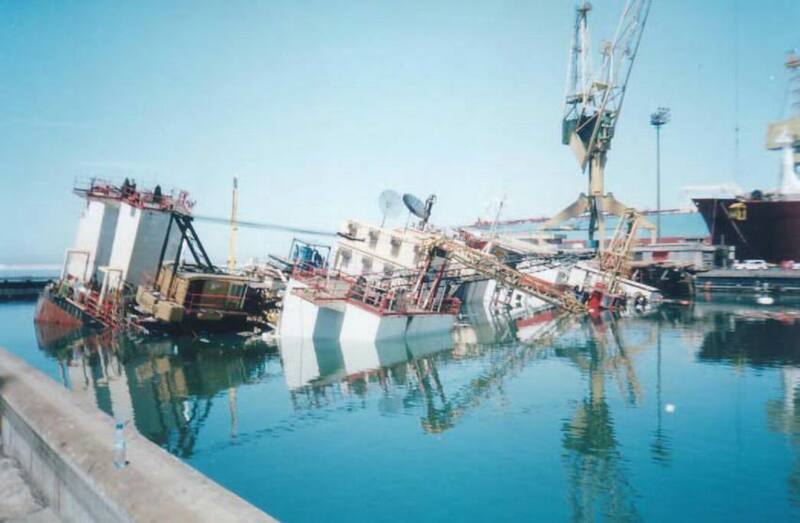 "The gate collapsed and seawater rushed in filling the dock in few minutes, drowning many people. It was a horrible sight," a witness told Reuters. 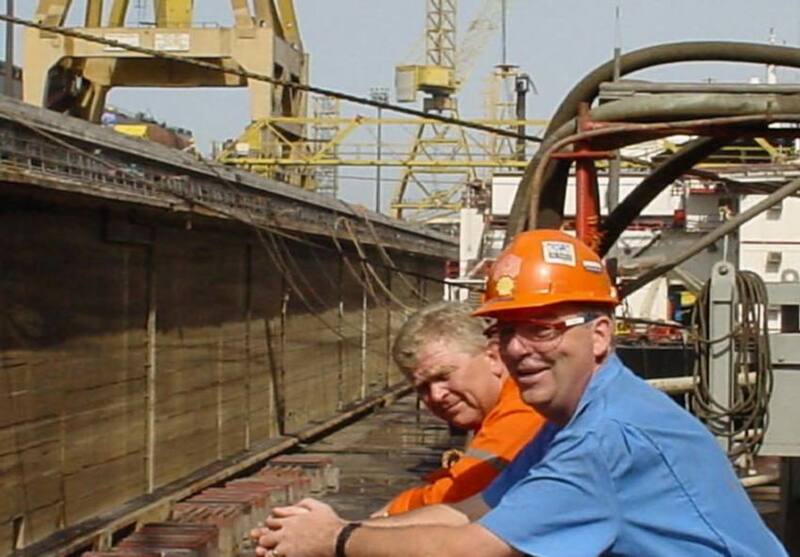 "Just before the incident, I saw many workers on the ground repairing some ships. The ships floated and started colliding with each other." The 21 workers who drowned : K. Philip George, Alex Samuel, Sunil Kumar Narayanan, M. Pasha, M.R. Naidu where from India. And from the Philippines: Marcelino T. Sumagang of Cebu City; Joseph JF Cayaban of San Antonio, Arthur F. Pullido of Subic, Ferdinand U. Velasco of Castillejos, all in Zambales. Florante S. Mercado of Limay, Bataan; Jose R. Santos and Vittorino C. Gustilo of Cavite City; Henry L. Sumanga and Cecilio G. Silang of Batangas City; Henry S. Sanchez of Caloocan City; Sofio A. Bosero of Cavite; and, Emando R. Canlas; Rolando M. Romero; Arturo R. Rodriguez; Jose Consunji Lizo, Jr.; and Jim S. Lucero all of Olongapo City. May they rest in Peace. 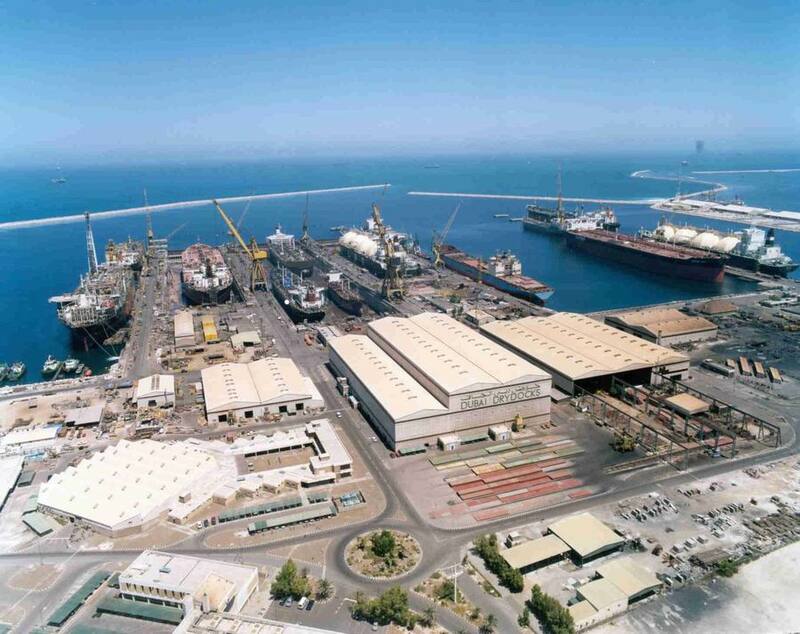 Dubai Drydocks is located in the United Arab Emirate (UAE), on the western coat of the Persian Gulf and is operated by the UAE government. The yard now employs about 5000 people, mostly foreign workers from the Philippines (about 1600) and India. It was established in 1983, and it is one of the largest ship repair facilities in the world, serving customers from over 40 countries. The yards takes up 500 acres and has direct access to the sea with it's own port protected by an extensive breakwater. 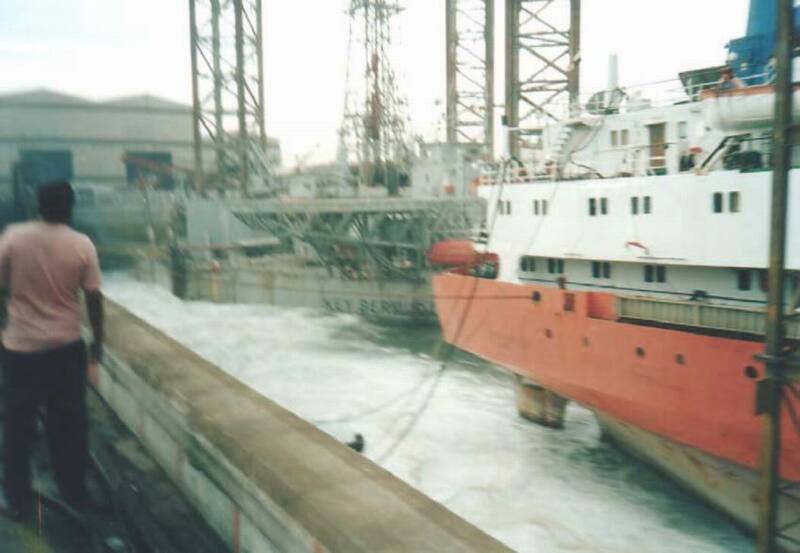 Dry dock #2 is the world's largest, 521 meters long and 100 meters wide. 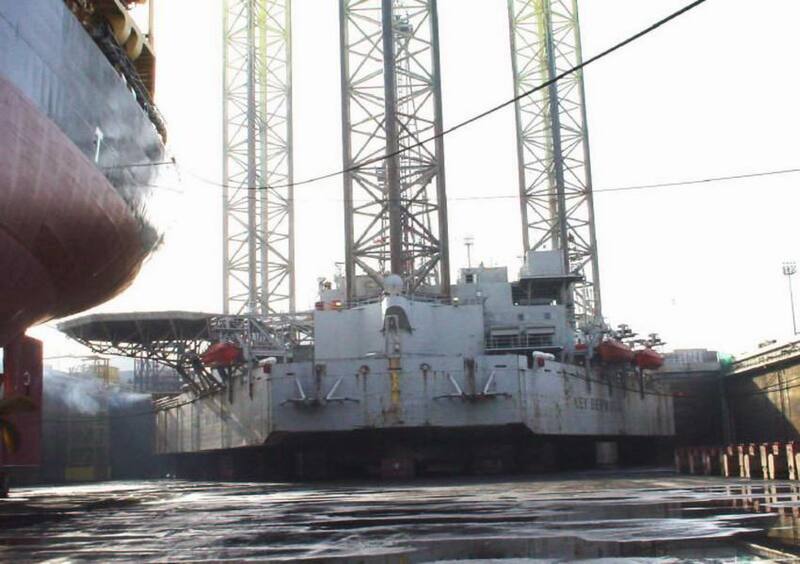 It is reported that the two failed panels where being worked on at the time of failure, due to a previous ship strike days before. It is quite interesting to read the different stories and see some of the other pictures which were taken. 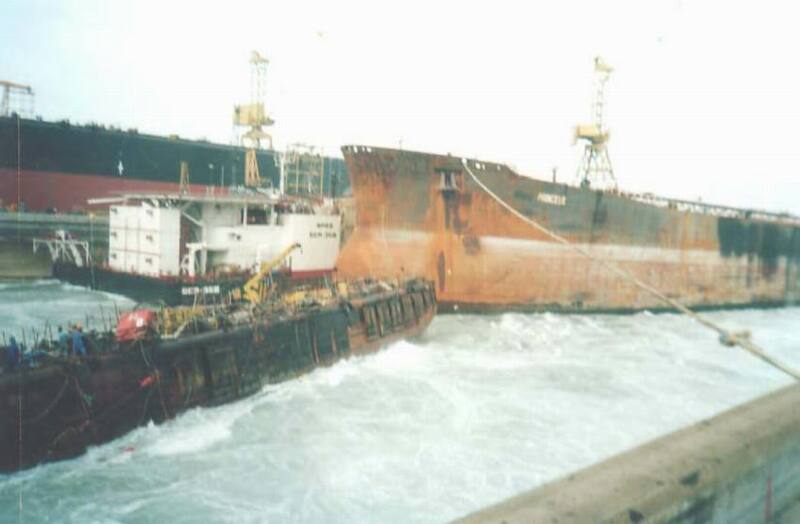 I was actually in the dock 15 minutes before the incident, carrying out an indocking inspection on the vessel Indra. Fortunately I left the drydocks 15 minutes before the gate gave in to see to a personal matter. 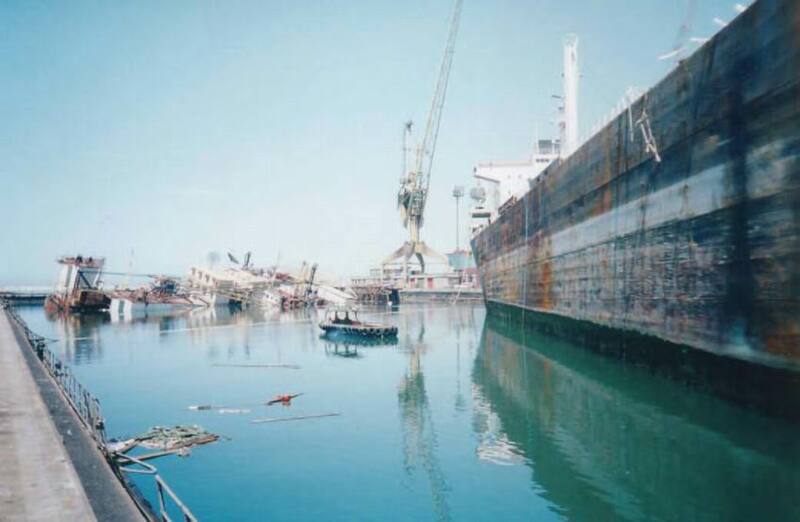 When I heard about the accident 15 min later I returned to the drydocks to offer my assistance. 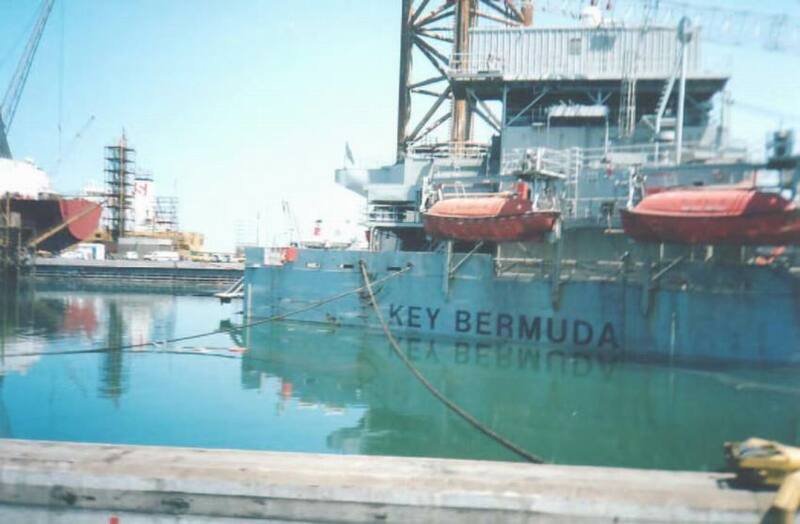 As I am a professional diver working for a coatings company carrying out underwater diving inspections on ships etc, I had all my equipment in the car with me. I was also working as a diving instructor for many years in Dubai and had close contact with the police divers who attended the accident. I ended up supervising a police dive team and showing them how to access the ballast tanks of the CB One (flat deck barge) as there were still people in side. I recall being in the water with the police divers and while we were underwater I witnessed some incredible behavior from them. When we reached the access to the tanks they refused to enter and so I entered in search of survivors. 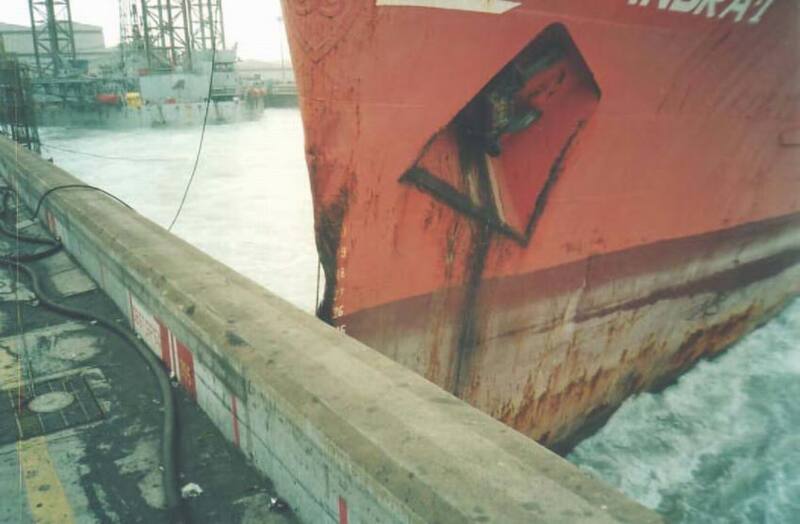 During that time the other crane barge next to us collapsed even further and as a result a huge current and surge flowed through the dock. The police divers had secured a rope around me and at that time they pulled me out of the barge. I am quite interested to get in contact with the person who took those pictures as I to have some disturbing pics of the accident too. I believe it was some one from a classification company. DNV or Lloyds? " 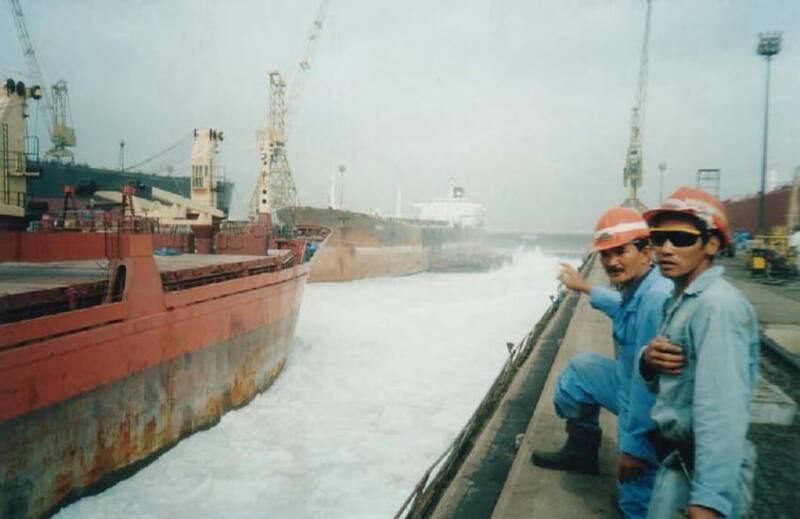 Nic wrote us back in January 2013, and shares his collection of maritime media he has put online, including some from his time in Dubai. You can check out his... YouTube, Flickr, Shipspotting.com and Google+ and BlogSpot areas.